THURSDAY, Aug. 2, 2018 (HealthDay News) — In their quest to unravel the secrets of human puberty and health, scientists are betting naked mole-rats can help. The hairless rodents reportedly have a lifespan of more than 30 years — nearly eight times that of mice — and an exceptionally low mortality risk. So researchers worldwide have been asking how the odd little creatures defy the aging process. Naked mole-rats colonies have two breeders and about 300 nonbreeding workers. Breeders live longer than nonbreeders, and — get this — they remain fertile throughout their lives, say investigators at Leibniz Institute on Aging in Jena. “Our results indicate that when naked mole-rats mature into breeders, it changes their aging rates, meaning that breeders are able to live longer than nonbreeders,” said study corresponding author Martin Bens. “This is surprising, as evidence from other species suggest that reproduction, which ensures the survival of the species as a whole, reduces the lifespan of the individual,” Bens said in a journal news release. 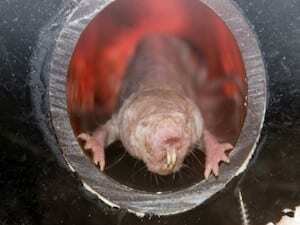 Reproduction in naked mole-rats actually appears to prolong the breeders’ lifespan, he added. “This goes against the common expectation that mammals either invest resources in a long life or in reproduction,” he said. “This could potentially help us better understand sexual maturation in humans, where the onset of puberty varies between individuals and is influenced by a variety of factors such as stress and nutrition,” Bens said. Variations in puberty onset influence risk for diseases such as heart disease and breast cancer, he added. “Our data may help identify targets to mitigate these variations,” he concluded.